Edinburgh, United Kingdom. 9 December,2017. Sleep in the Park, held in Princes Street Gardens in Edinburgh, will see almost 9000 people sleep outdoors to raise money and awareness of homelessness. The event is organised by Social Bite and starts with a music concert. 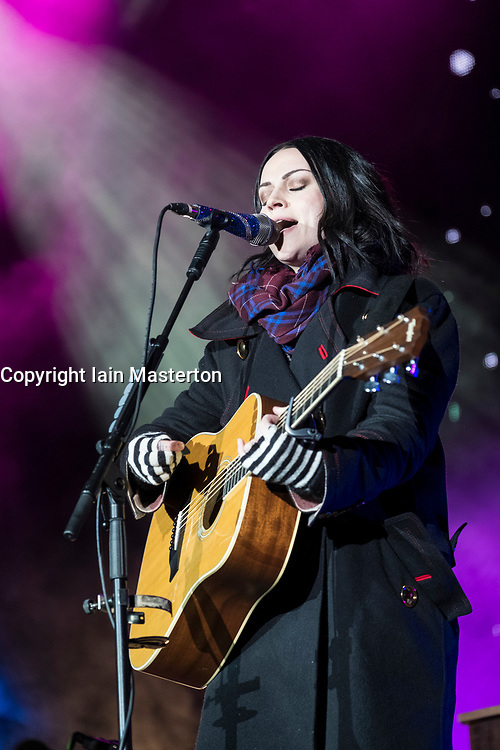 Amy MacDonald performs on stage.